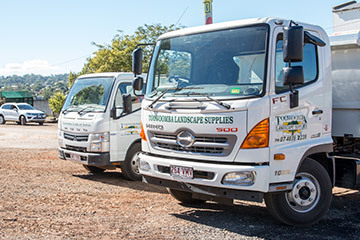 Our specialised delivery vehicles can bring our landscaping product to you. 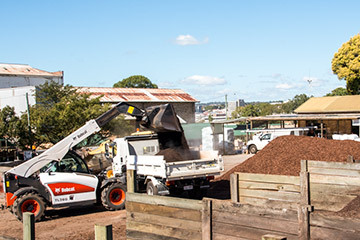 We have a small tipping truck which can carry up to 2 tonnes of soil, sand, gravel, sleepers etc. 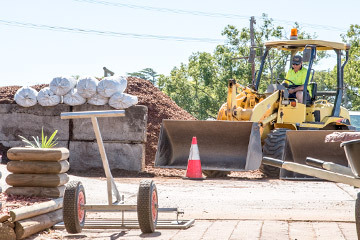 or up to 5 cubic metres of mulch. This truck can fit almost anywhere your car can. 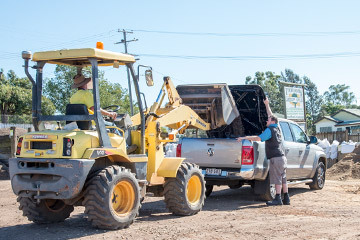 Our medium size truck is a Hino tipper designed especially to get a larger load down most suburban driveways. 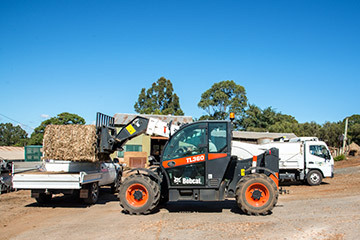 This truck can carry nearly 6 tonnes and up to 10 cubic metres of mulch. 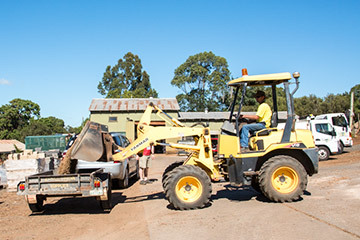 For larger landscape supply loads we arrange for a tipper carrying up to 13 tonnes. 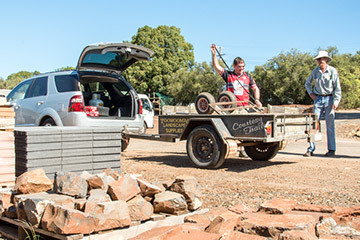 If you require only a few bags or logs or sleepers etc. we can drop these off when we are next going past - for a reduced delivery fee. 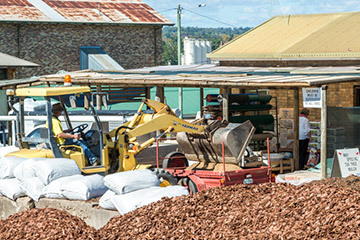 A cubic metre of soil weighs between 800 and 1000 Kg (1 tonne). Contact us for further information about our delivery options.